We offer a website template range which can be customised to suit the needs of your business in Health & Beauty or Health & Fitness. The range includes options for a beautician, fitness club, gym, hairdresser, health therapist, personal fitness instructor (or trainer) and product shop. Every website features the option of adding a PayPal shopping cart, product photo gallery and video gallery. 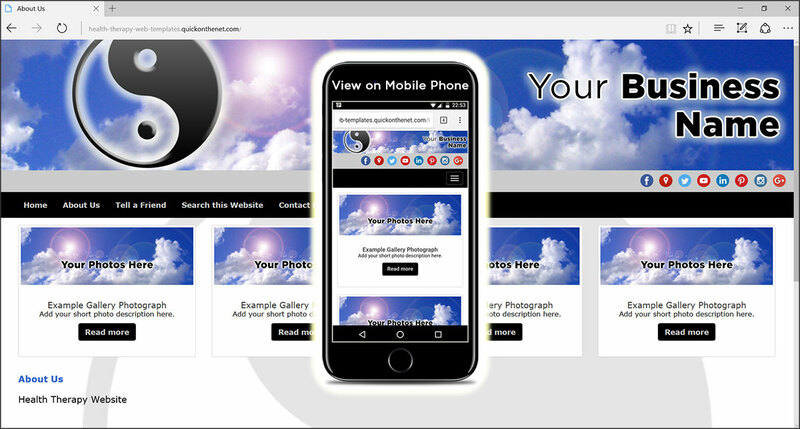 Presented in an attractive design scheme, this template is highly flexible to create an effective business website for all forms of health therapy.